It's a blow molded tank and that seam is the parting line where the two halves of the mold come together/separate. It is, as you say, not two halves of the tank "melted together." Got me two! I was completely wrong and am shamed, it IS blow molded. I got an alert of a 'like' on one of my posts in this old thread so thought to update it a bit. About 18mos ago I found I could regularly get these Scepter 'civilian' jugs for ~$20 at the Tractor Supply chain of stores. I have occasion to pass by two of their stores about ~140mi in opposite directions from my home so I pick up 1 or 2 as I do. I've been slowly replacing my mish-mash of aging blitz jugs of various shapes and capacities and the new jugs have been working very well. 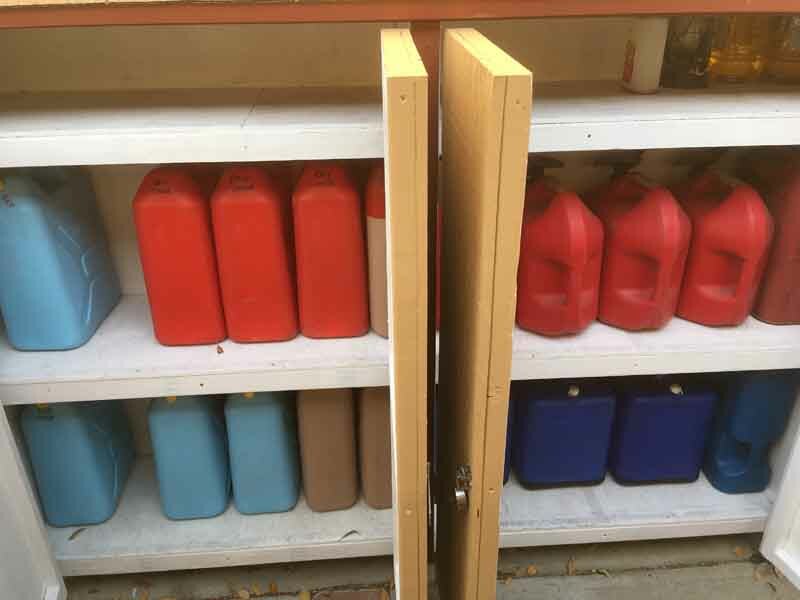 I store them in an outdoor locker on the south side of our home and don't have any trouble with swelling or outgassing or any trouble at all. Other than the irritating detail that they don't fit 'normal' size jerry can holders. In the process of adding more water jugs now, those Aquatainer cubes have to go. They are VERY thin on the bottom, they have to go before any more fail. I even tried putting some roll-on bedliner on their bottoms, but it doesn't stick and the Aquatainers are so thin I can't even take some 80grit to them to rough them up so the bedliner will bite. Plus on top of it all they're 7gal. Just too damned heavy when full. why so many? I'm in SoCal. I trek in the desert. 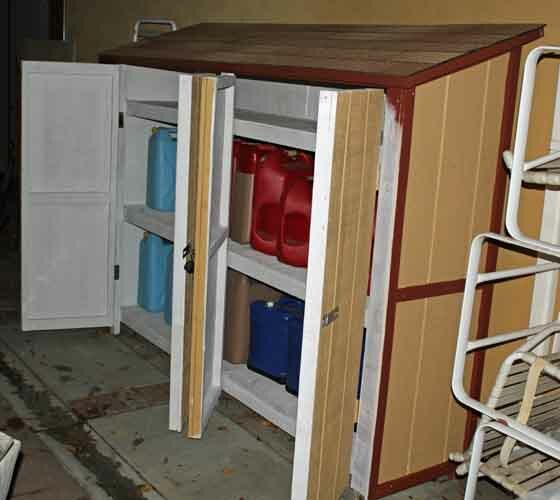 The Northridge earthquake caught me with ZERO supplies / preps, ground zero. Our 'disaster plan' these days is drive our two GMT800 4wd vehicles the hell away from Los Angeles. So I've got 50gal of gas and 50gal of water in jugs. And a lot more water in other ways. And we try not to run our vehicles below a quarter tank. Better for the longevity of their in-tank fuel pumps, too. Knock on wood. Turning 200k mi on the '05 Tahoe and 140k mi on the '02 Sub and 165kmi on the previous '99 Tahoe and no fuel pump trouble.